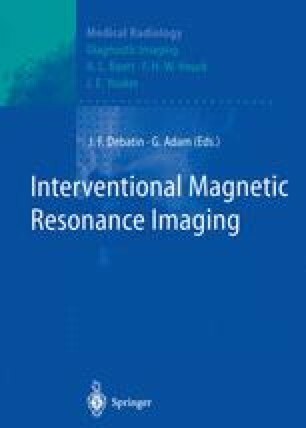 Magnetic resonance (MR) imaging provides high soft tissue contrast and easy visualization of vessels at the same time. In addition, image contrast can be manipulated, depending on the sequence used. Its oblique, multiplanar, three-dimensional imaging capabilities greatly enhance accuracy and aid visualization of complex anatomy. MR can provide functional information as well and can be used for perfusion studies and qualitative and quantitative flow studies. Subsecond imaging is possible, although with low resolution.